NASA has been busy since we last visited their collection of APIs back in August 2014. NASA has just launched API.NASA.gov where developers can learn to use existing NASA APIs or contribute their APIs to the catalog. NASA encourages developers to obtain an API Key to begin using or contributing APIs. Developers do not need an API key, but their requests to the API will be limited. I would encourage developers to obtain an API key. API keys are free and allow NASA to track who is using the APIs. This is useful information because it tells which APIs are most popular and should be given more resources. API key tracking also helps to determine which data sets should be given APIs next. The API catalog on API.NASA.gov is still under construction, but developers can visit the NASA developers’ page to find APIs. There are close to 10,000 data sets on data.NASA.gov and 37 APIs. The most popular API is the Astronomy Picture of the Day (APOD) which displays a selected astronomical picture from any of the many NASA missions. Another interesting API is Asterank which is a database of asteroids. Check out the three-dimensional map of significant asteroids overlaid onto the orbits of Mercury, Venus, Earth, and Mars. This display drives home the threat of a collision with a Near-Earth Object asteroid. Looking back on Earth, there is a potential API that will unlock the data from the Landsat satellites. As pointed out by NASA, there is an estimated total annual value of $2.19 billion in Landsat data for the commercial sector. 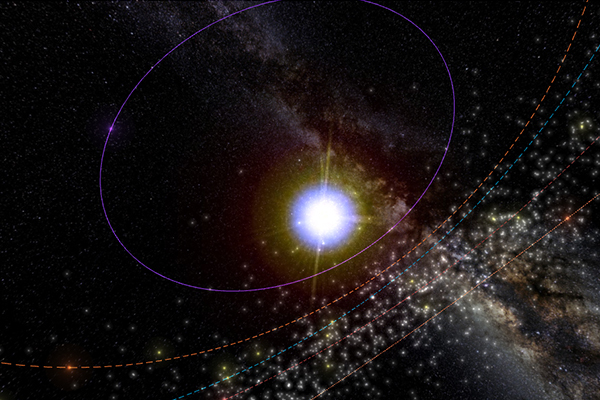 NASA encourages developers to contribute ideas for turning this data into valuable APIs. « Trends on Tuesday: 186.3 Million People Own Smartphones in the U.S.